A wonderful unique gift for a little boy or girls special day! Our offset wooden frame features a delicate storybook design of a set of farmyard friends enjoying their day under their favourite tree alongside space for a square photo. 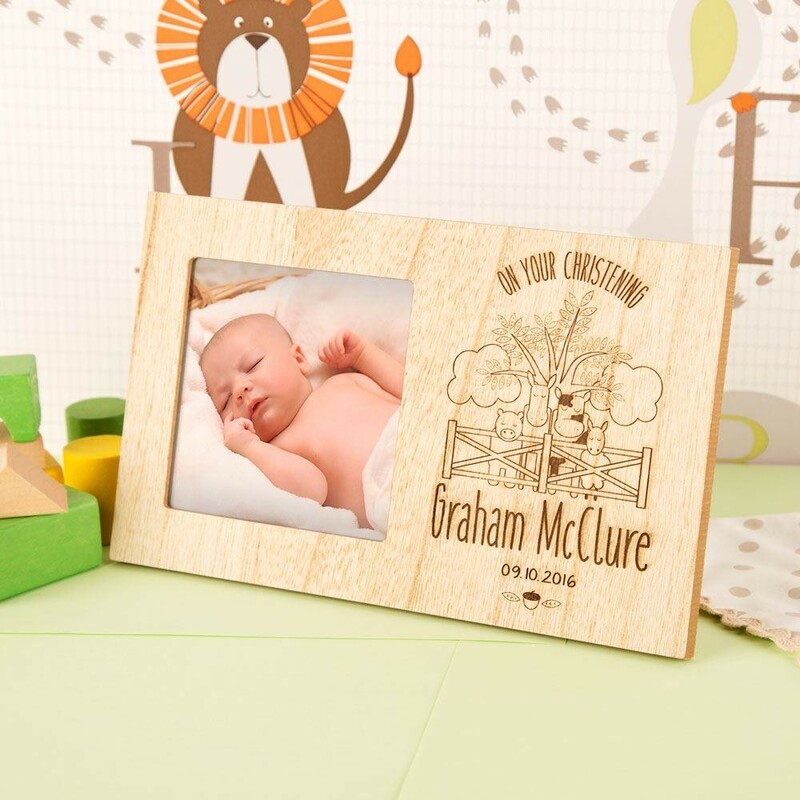 The frame is personalised with the child's name, occasion and date, making the frame and ideal choice for a Christening, Baptism or any religious occasion. The full design is carefully laser engraved by our professional team. 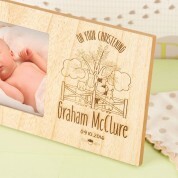 This frame could also be used as a wonderful gift for birthday's or Christmas!